Save energy and fight climate change with ENERGY STAR certified products. They use less energy, save money, and help protect the environment. 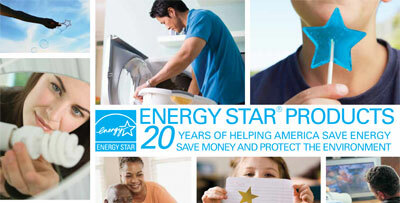 For 20 years, ENERGY STAR products have helped Americans save energy, save money and reduce their carbon footprints. Explore this compelling retrospective on the powerful public-private partnership that built a globally recognized consumer brand and transformed the market for energy-efficient products. Download the Retrospective (3.1MB) or order a hard copy. 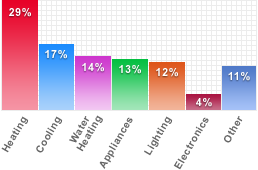 The annual energy bill for a typical single family home is approximately $2,200.